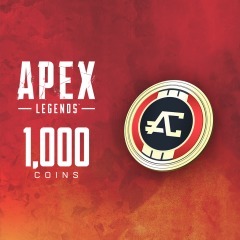 After payment you will receive "INSTRUCTIONS" how to get "1.000 coins in Apex Legends" to YOUR Origin account! You can spend the money on anything at the Apex store. For example, you can buy 10 chests for them. - If you had or have a subscription to "Origin Access Basic or Premies" and you have already received 1,000 coins for it, then DO NOT buy this product! Re 1000 coins will not give! - The method works only on the PC version of the game! - We are not responsible for the possible ban!